As the cherry season is so brief this is hardly an essential piece of kitchen equipment. But having said that, if you ever make your own cherry jam or for other recipes using more than a handful of cherries you will be mighty pleased to own one. The cherry pitter pictured here is a model made by Leifheit and cost about £15. 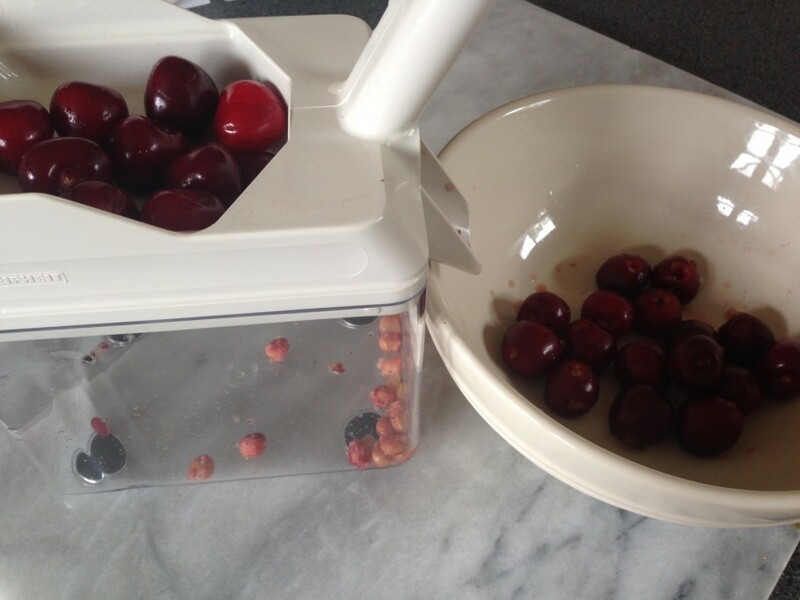 It will pit a kilo of cherries in about 5 minutes which is so much quicker than the individual hand held pitters. The odd stone might escape the pitter but overall it works very well and despite it only coming out of the cupboard about 4 times a year I wouldn’t be without one.